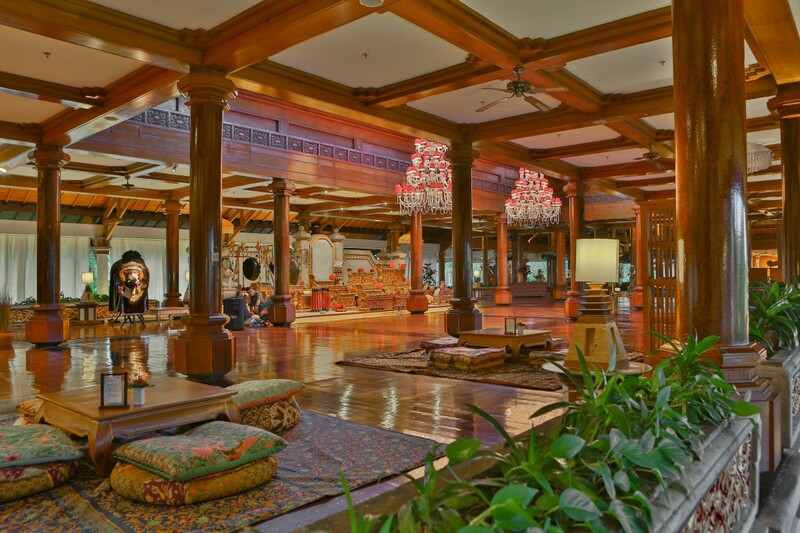 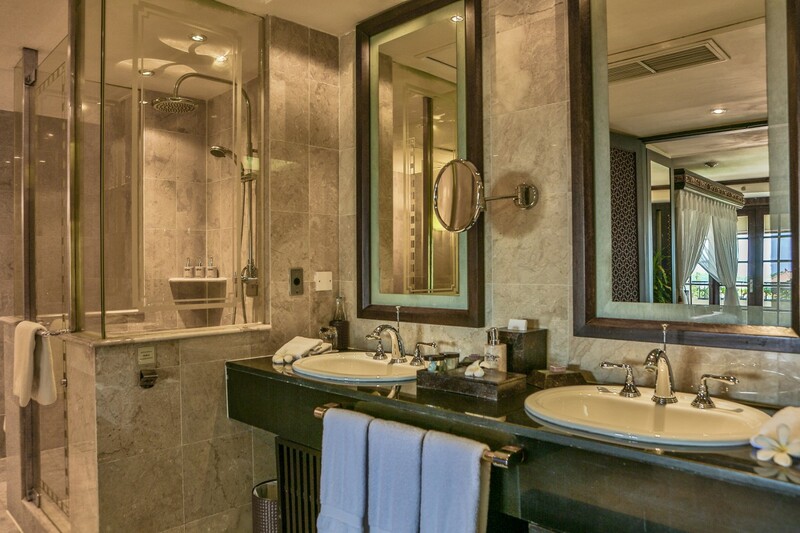 Resembling a grand Balinese palace, this exquisite 5-star resort will impress your distinctive taste with its sprawling grounds, luxurious accommodation, and the beautiful pools. 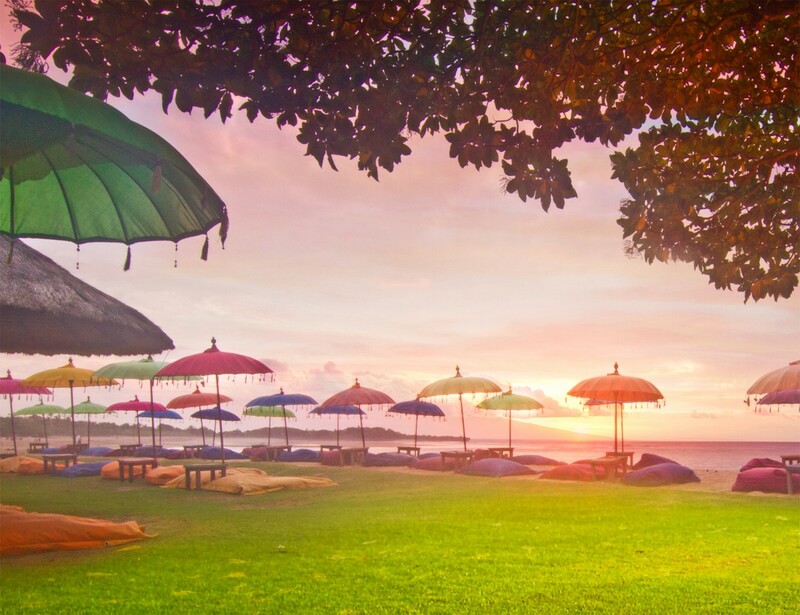 Walk down to the beach where you can relax on bean bags under the shade of an umbrella. 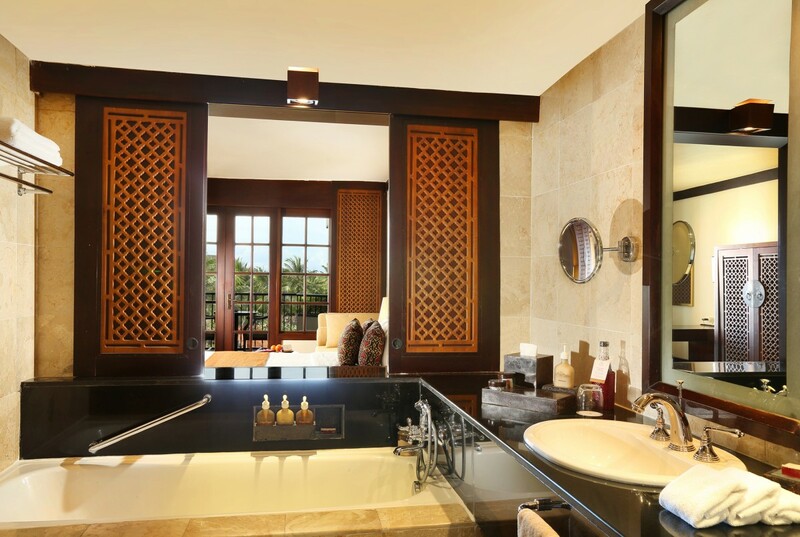 Ayodya Resort Bali is a luxurious 5-star hotel located along Nusa Dua Beach. 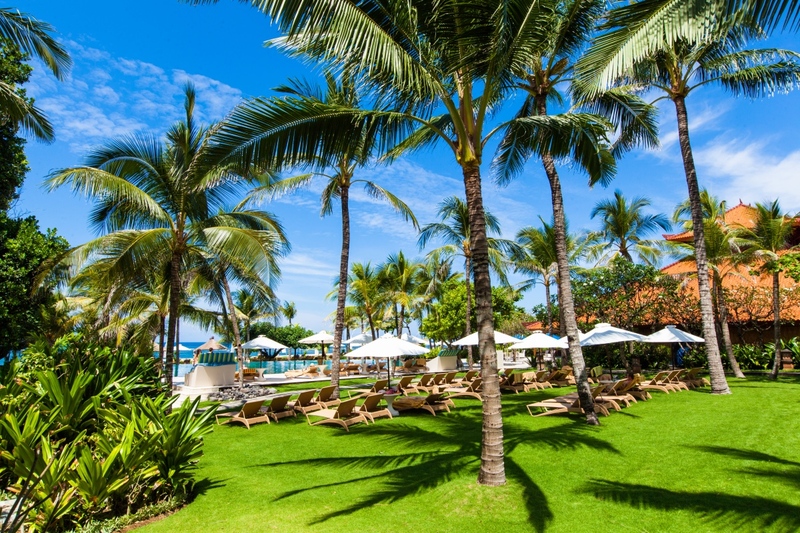 Set amid a lush tropical garden, this beach-side hotel comes with all the lavishness and enjoys a stunning position overlooking the Indian Ocean. 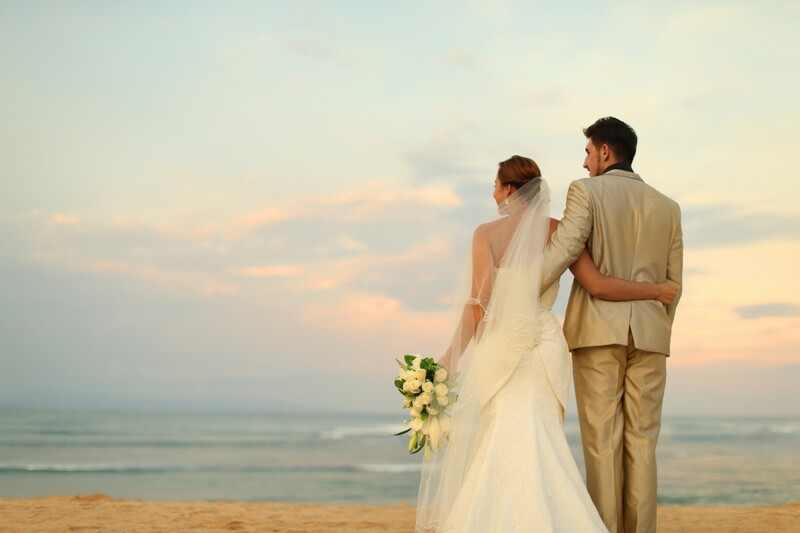 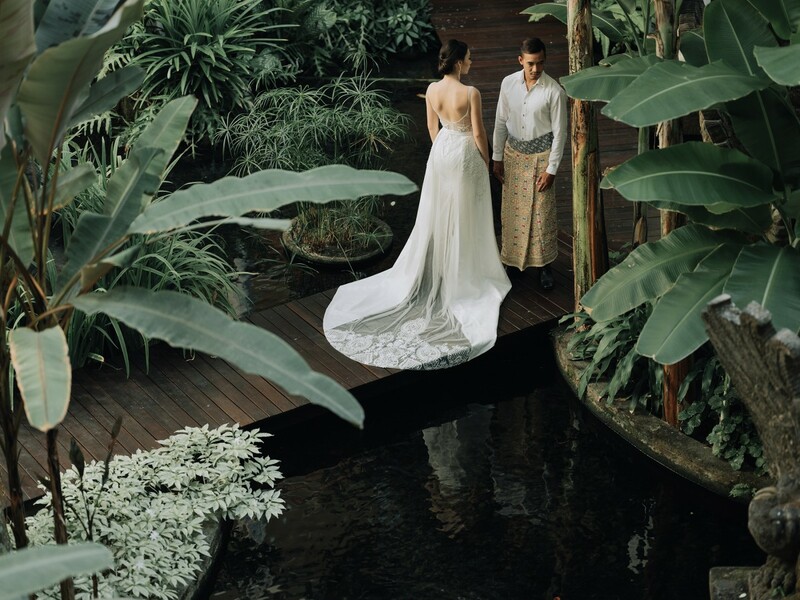 The hotel proves to be a supreme location for the newlywed couples providing enchanting Balinese hospitality and complete privacy to renew and unwind. 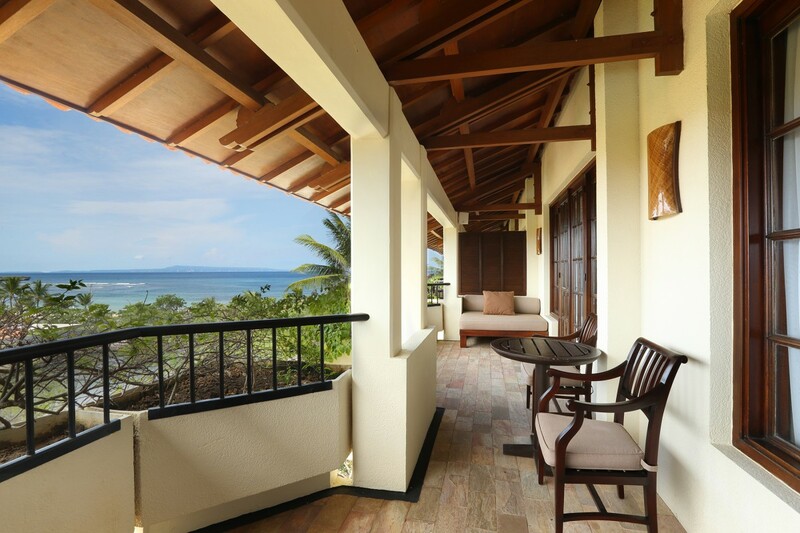 Located in the heart of Nasa Dua, Ayodya Resort features a 300 m private beachfront and a large inviting outdoor pool. 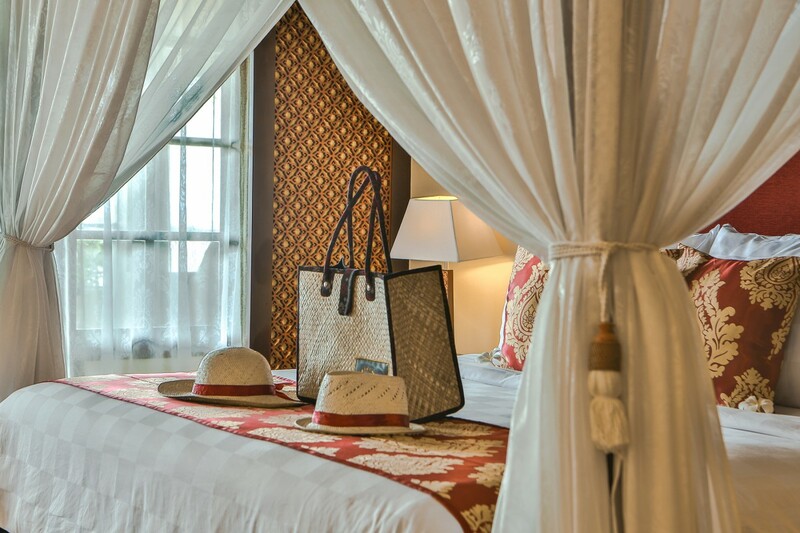 Offering comfortable accommodation with striking views, the hotel serves traditional Ayodya magic, blended with a touch of Bali mystique which will leave the guests spellbound. 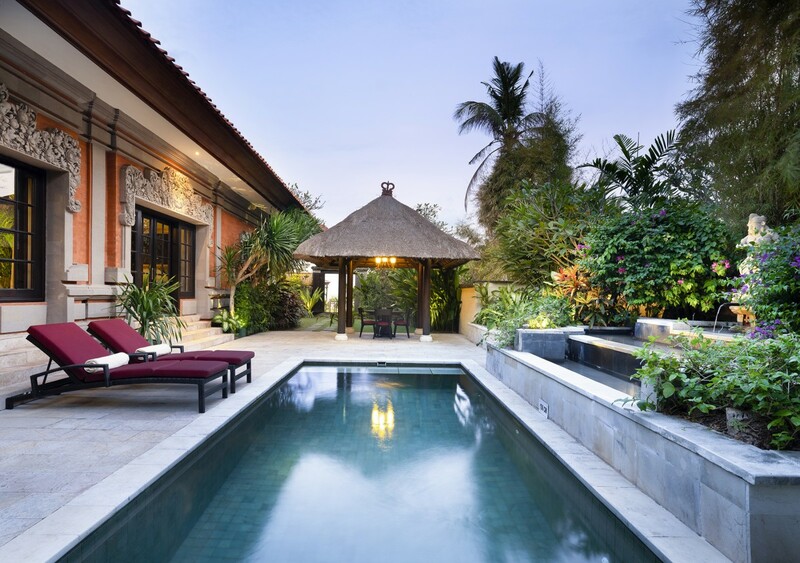 The property is approximately 10 km away from Ngurah Rai International Airport and close to several noted attractions. 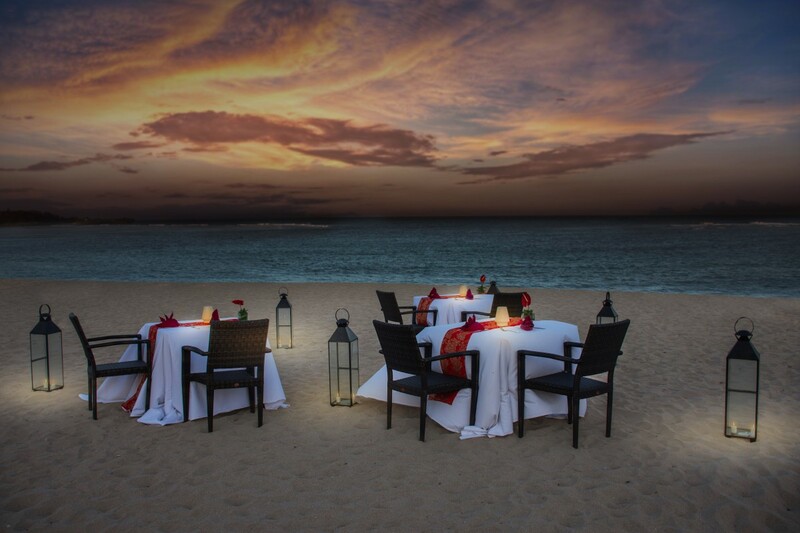 Enjoy culinary experiences paired with the stunning view of Indian Ocean. 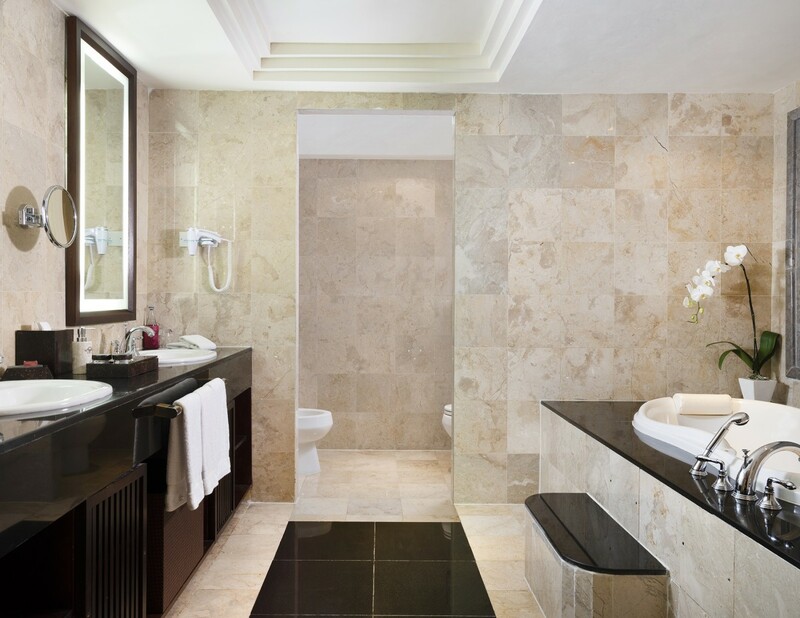 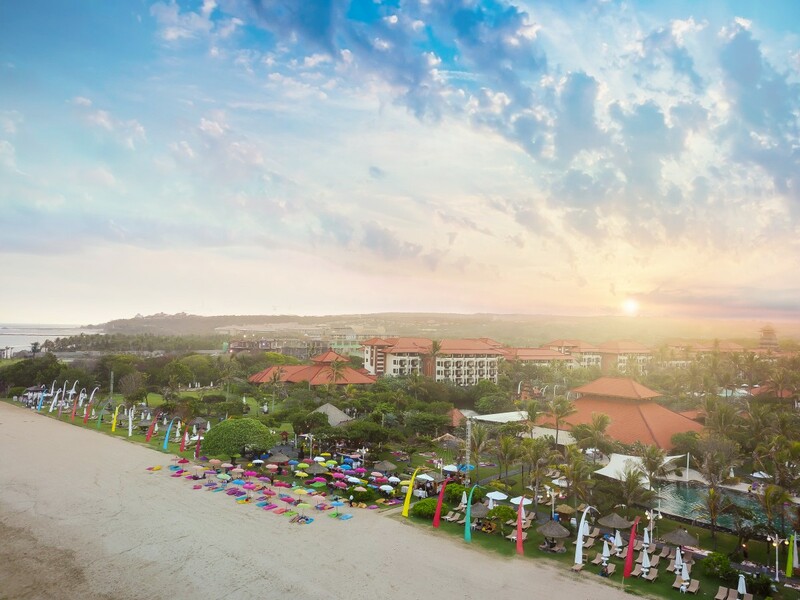 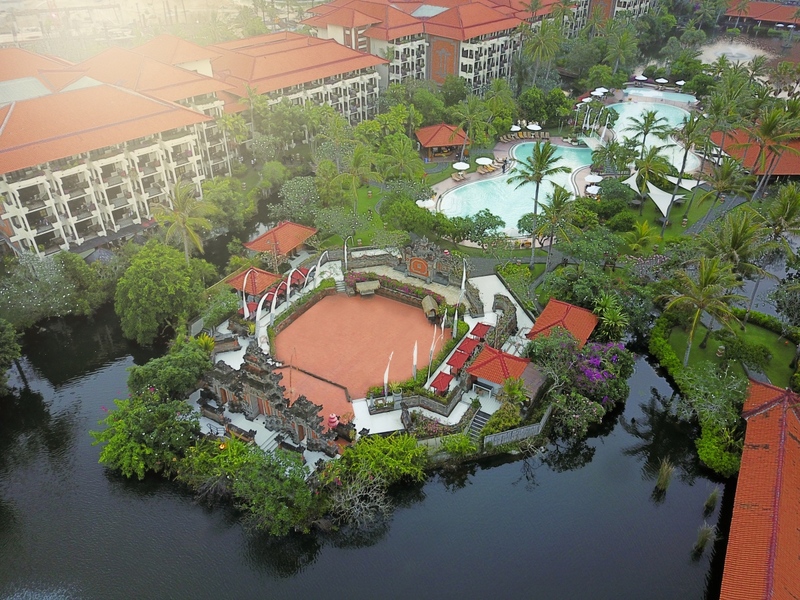 Want best Nusa Dua Packages with this Resort? 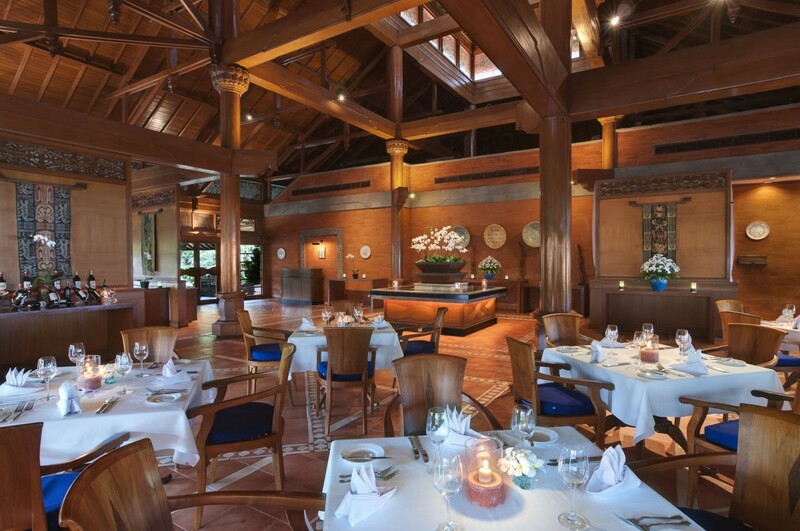 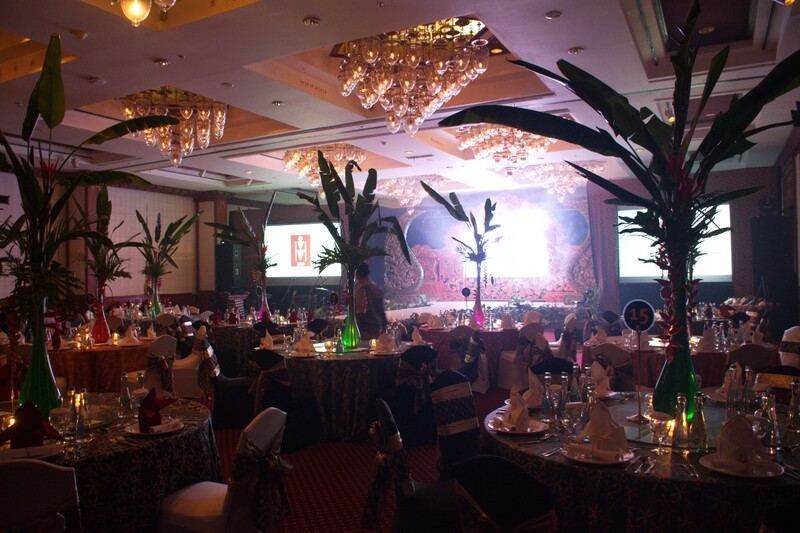 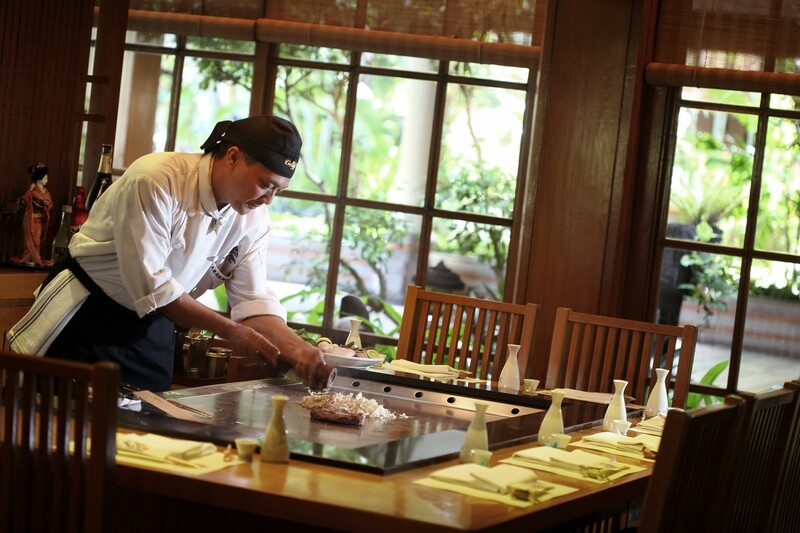 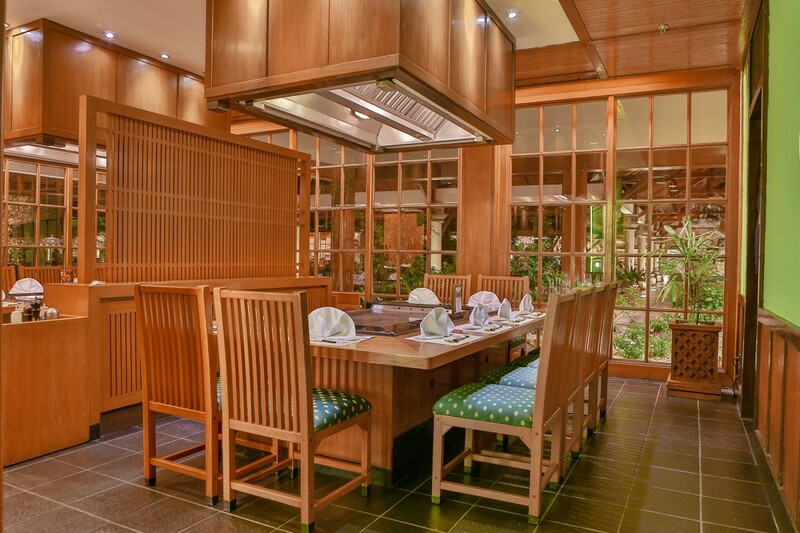 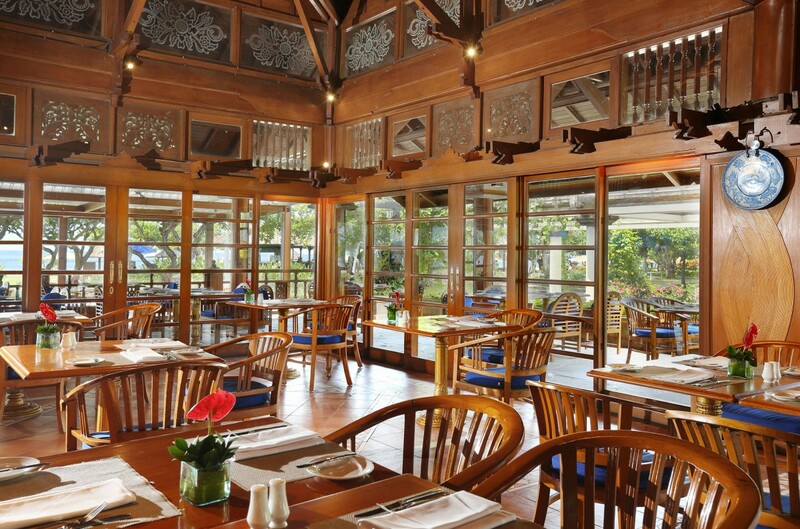 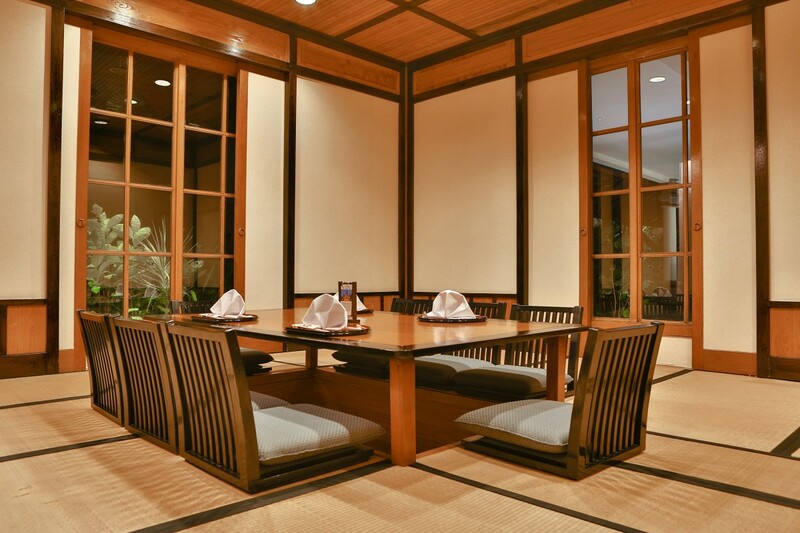 Ayodya Resort Bali serves a number of dining options to the patrons. 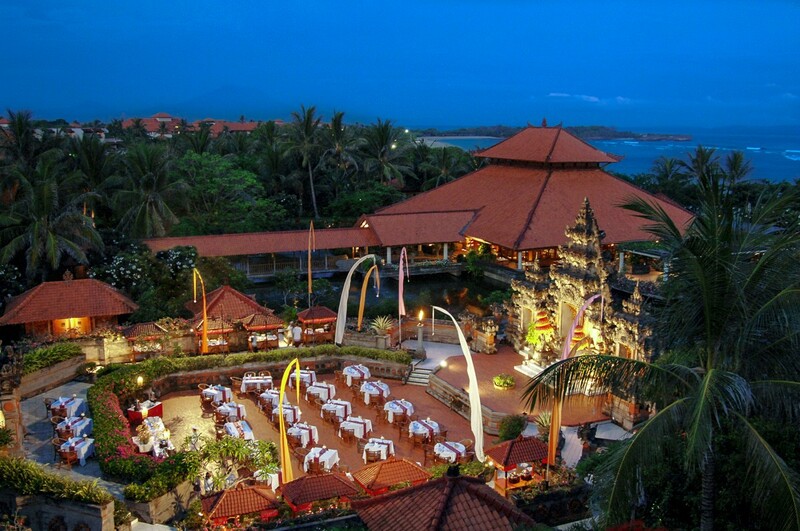 The hotel has 5 restaurants namely- Ayodya beach club & grill, Surfer's corner, Octopus Restaurant, Genji and Balinese theatre. 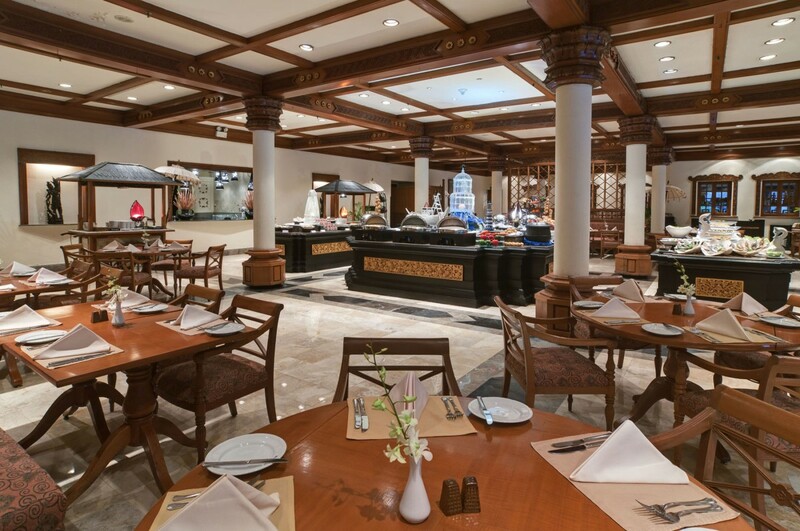 The dining options include the Mediterranean, Italian and Japanese restaurants. 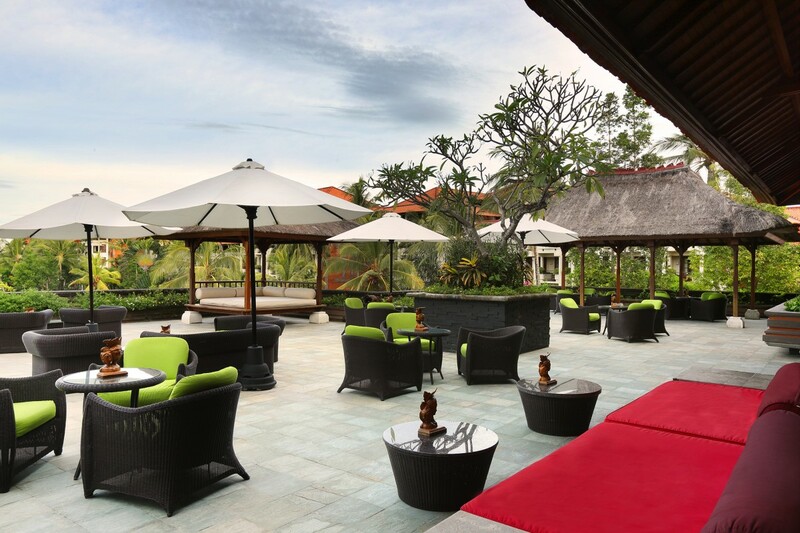 A variety of cocktails can be enjoyed at Rama Lounge & Terrace, while snacks are served at the poolside Surfers Corner. 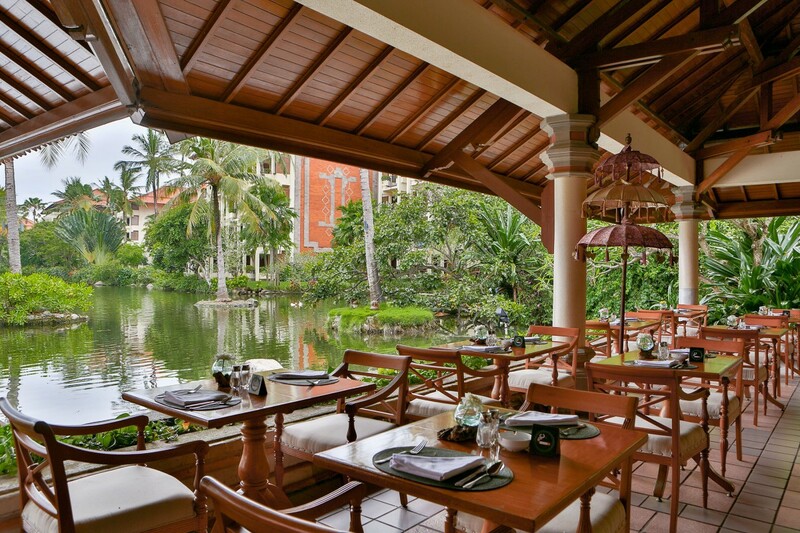 Other than this, it also has a lobby overlooking the bay and the Indian Ocean named Bale Banjar which offers a fine selection of beverage. 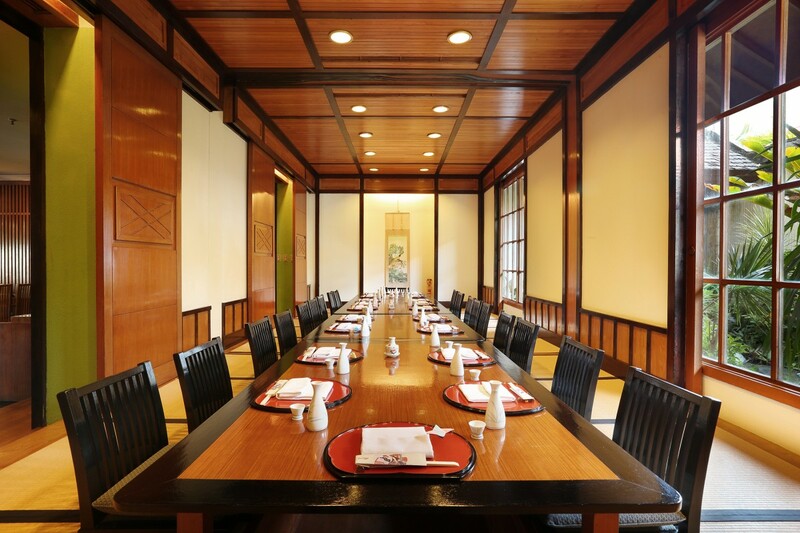 Moreover, Ayodya Resort also maintains a clubhouse, having its own orchestra and dance troupe, serving traditional light snacks assorted beverages. 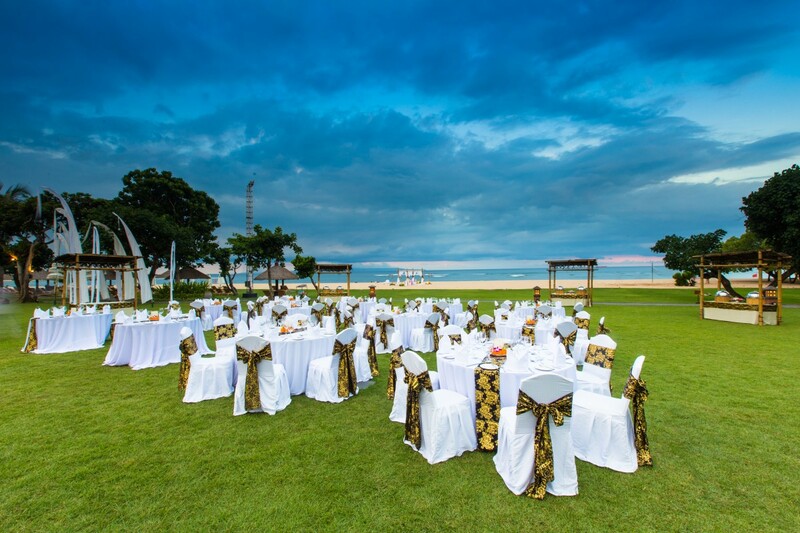 Other than this, the resort maintains a flourishing tropical garden and a terrace allowing its guests to enjoy the beautiful views of sunrise and sunset sitting in the lap of nature. 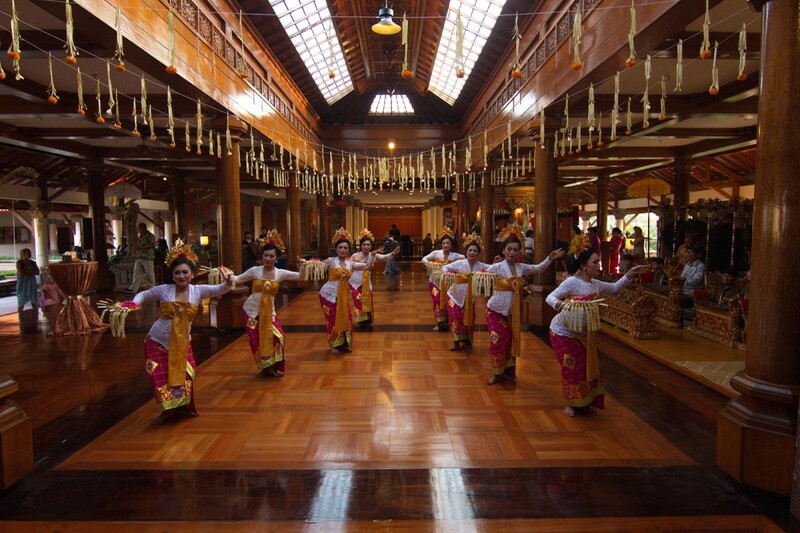 Ayodya Resort Bali also features a playground for the children to play a number of folk games. 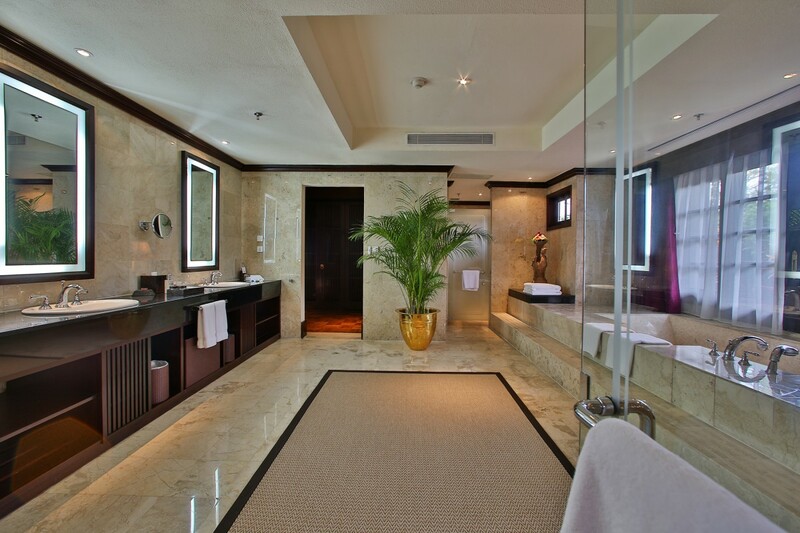 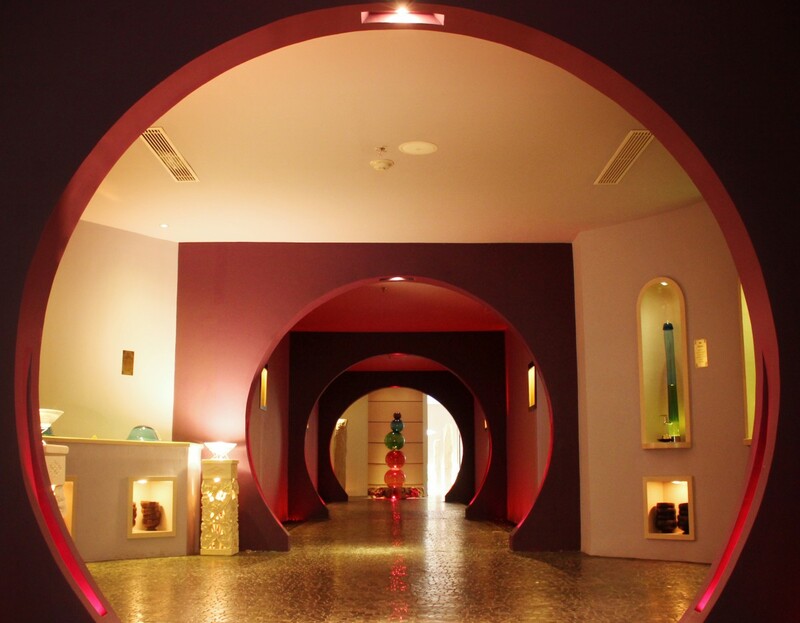 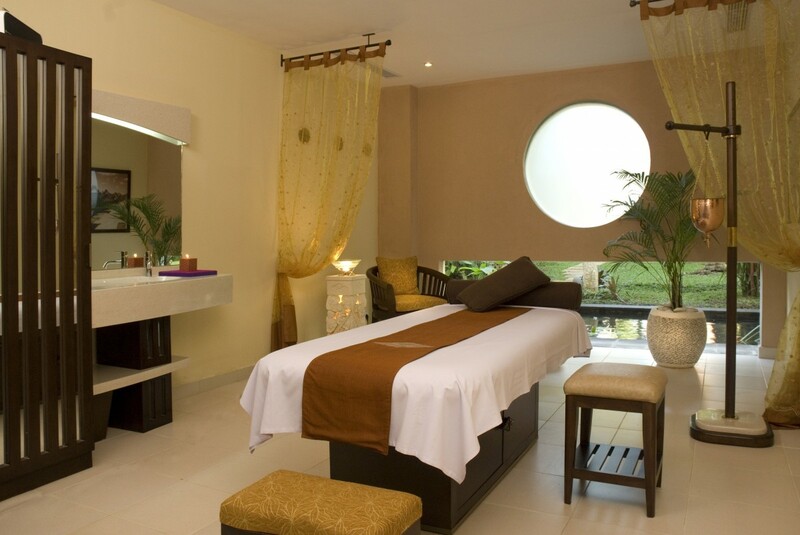 Guests can enjoy the fitness facilities provided or visit The Ayodya Spa to get a soothing and relaxing massage. 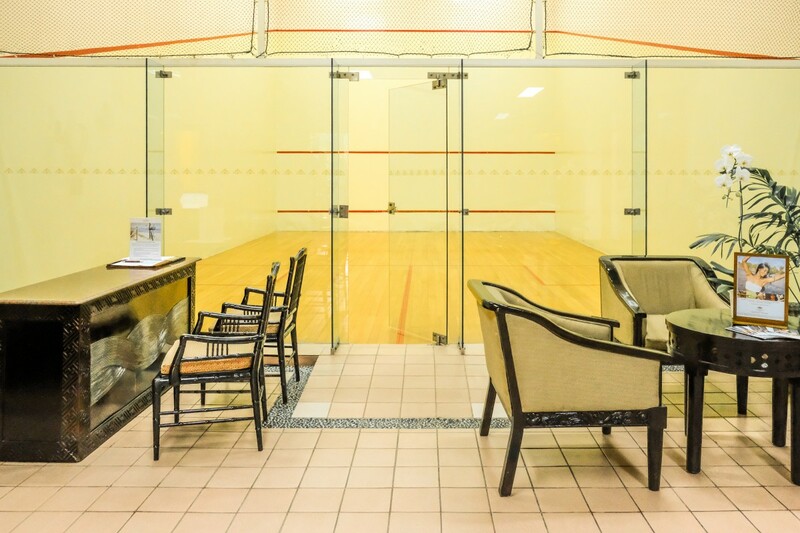 Other spare time facilities which the hotel arranges include beach volleyball and a game room. 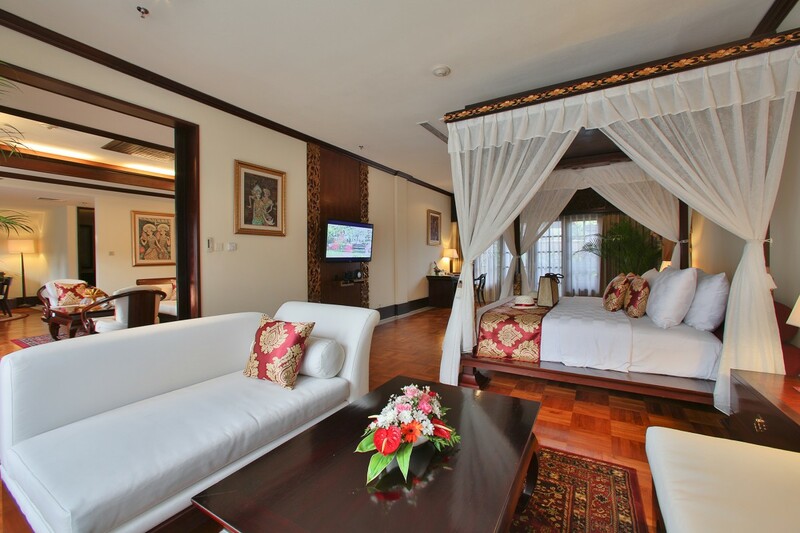 Moreover, this property provides a range of services like free shopping center shuttle, airport shuttle, childcare, free Wi-Fi and free parking. 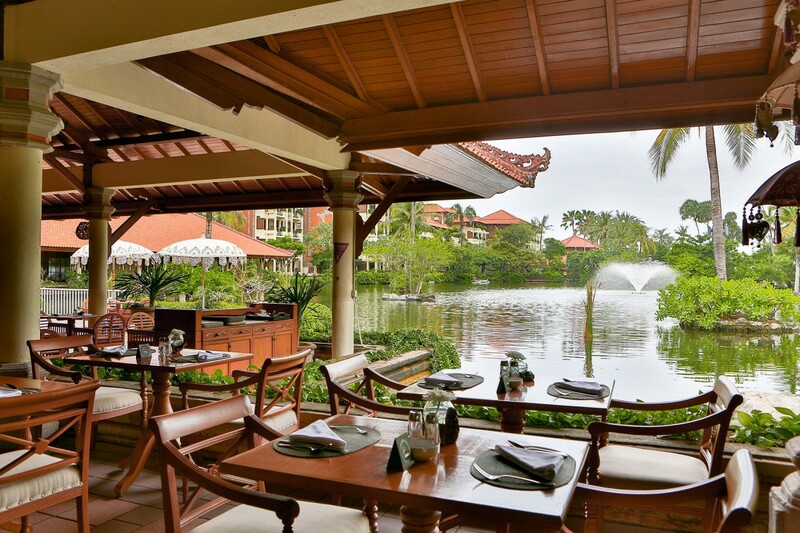 One can have a complete destination resort experience at the Ayodya Resort. 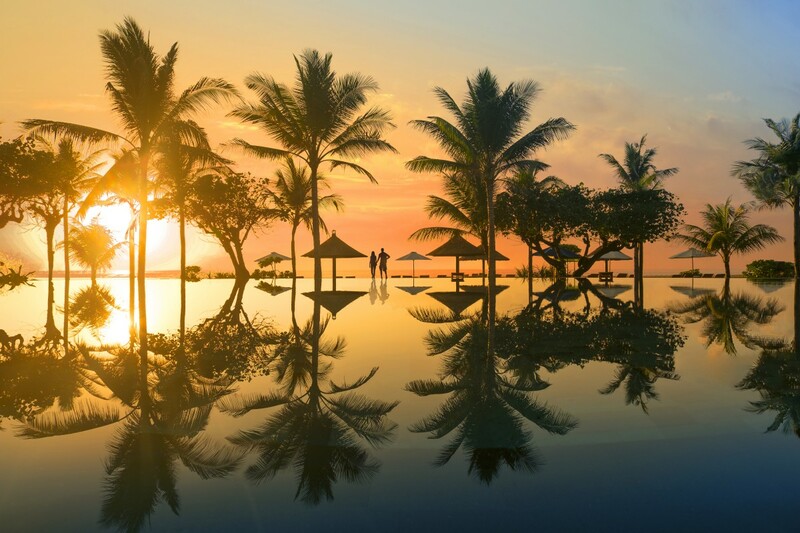 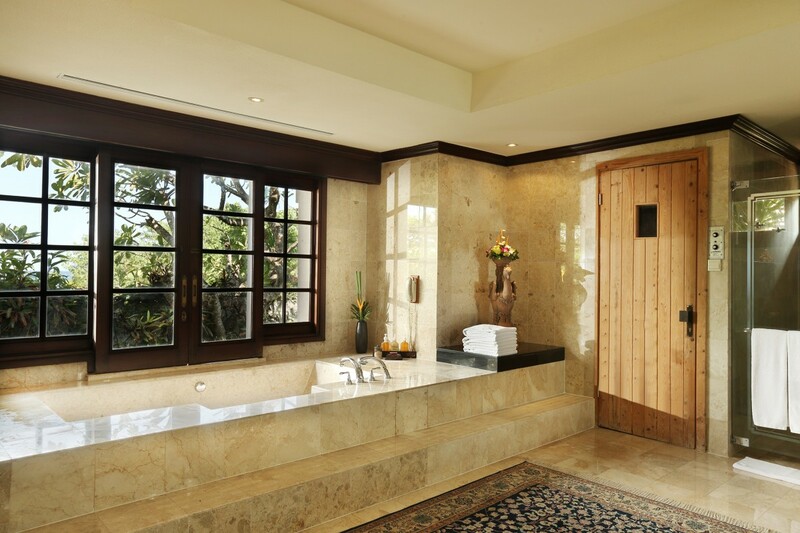 Secluded yet deluxe resort development in the South of Bali, the property is truly one on its own which ensures a relaxed and rejuvenated stay. 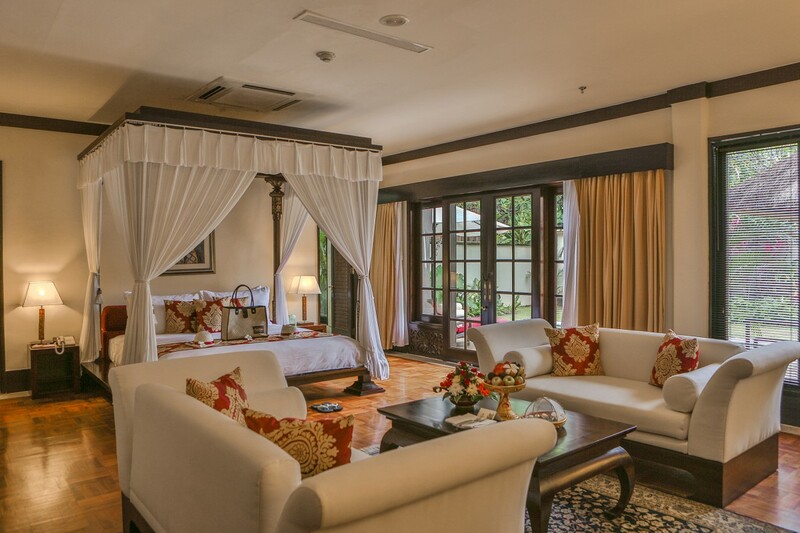 Enveloped in luxury, it creates the perfect recipe for comfort, relaxation, and indulgence so that the guests can have a great time here. 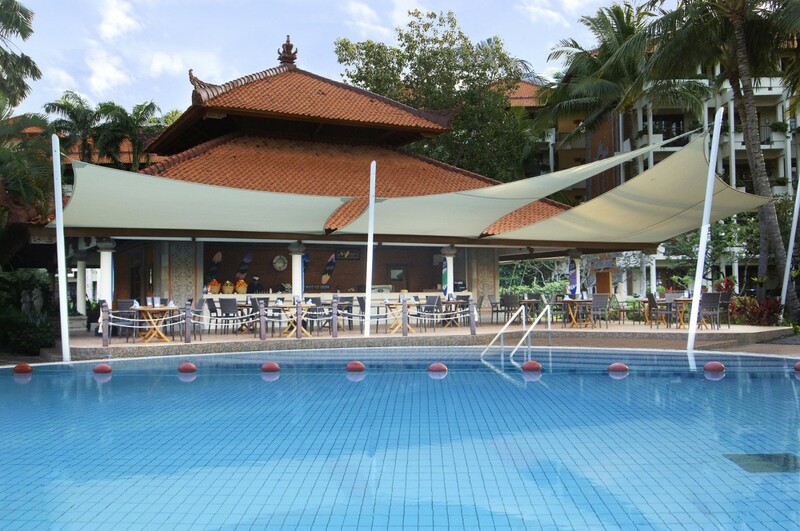 How much distance is there between hotel from the international airport? 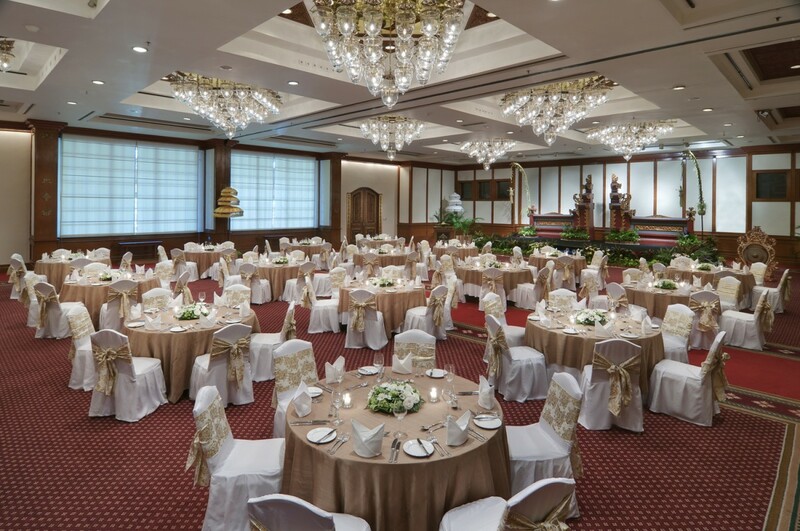 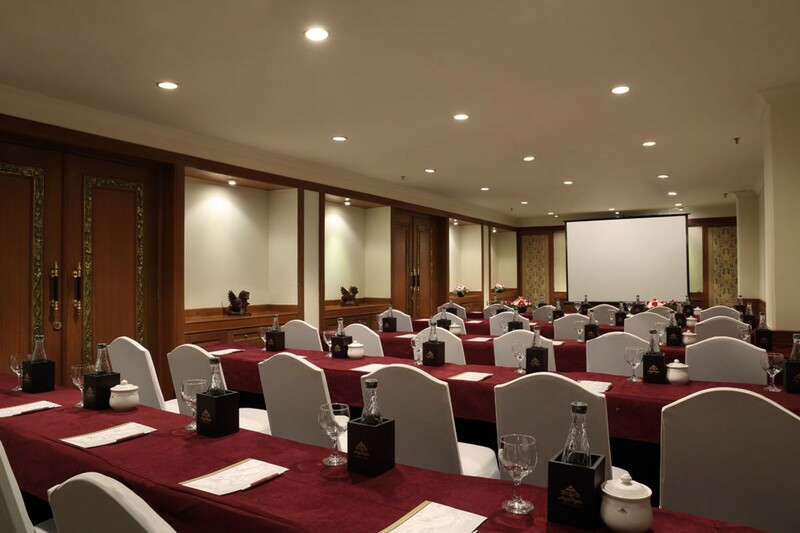 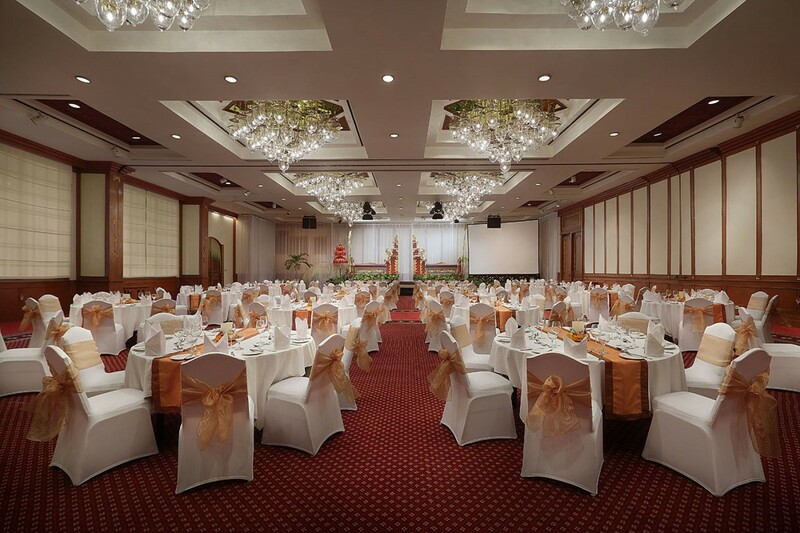 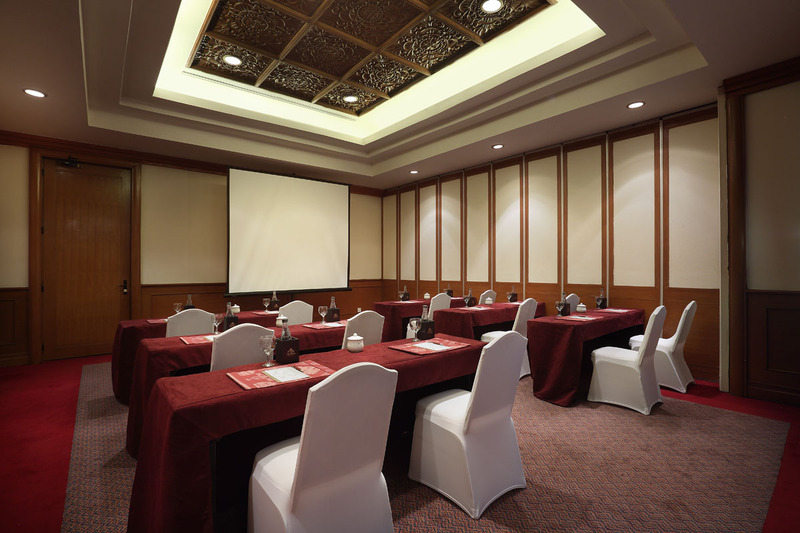 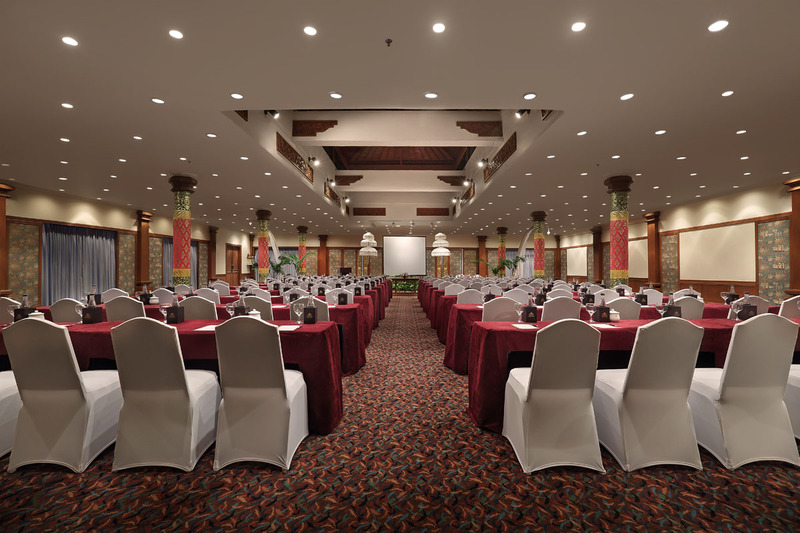 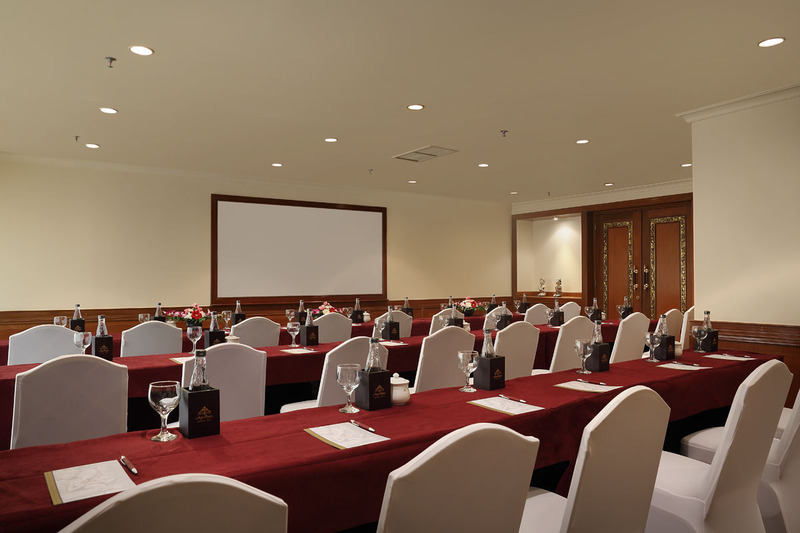 The hotel is 10 km away from Ngurah Rai International Airport. 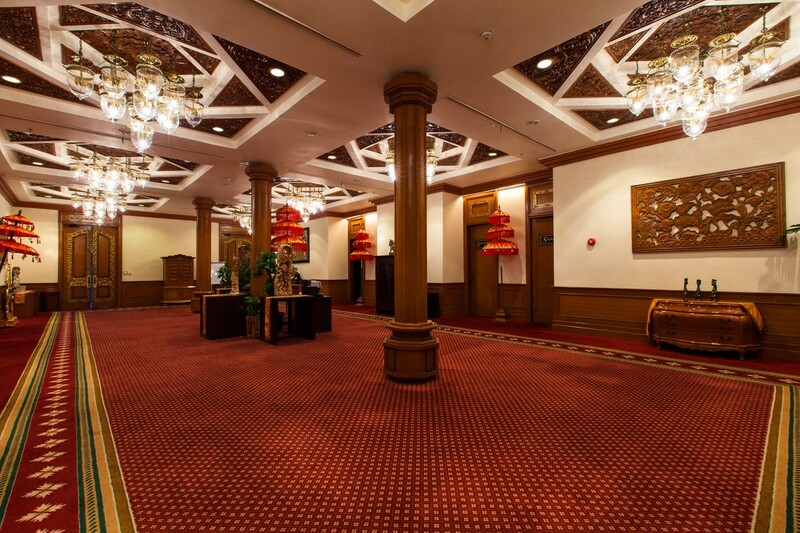 Is the service of airport pickup available at the hotel? 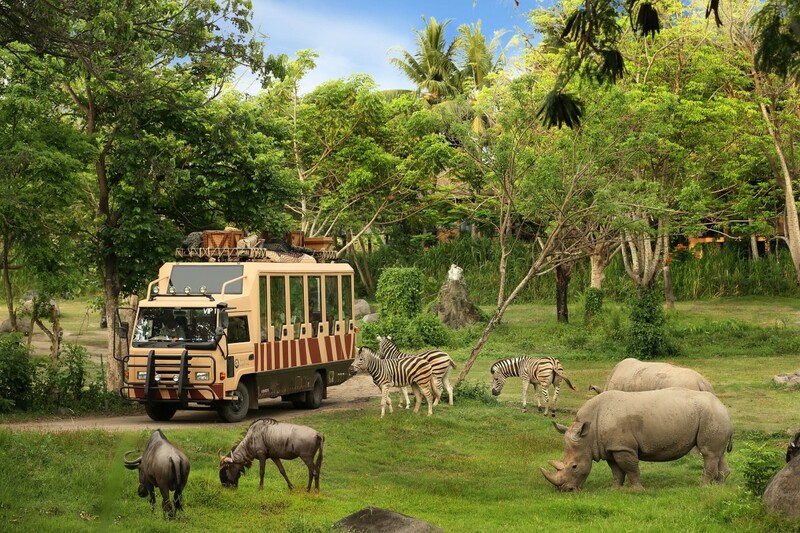 Yes, the hotel provides an airport shuttle to all guests. 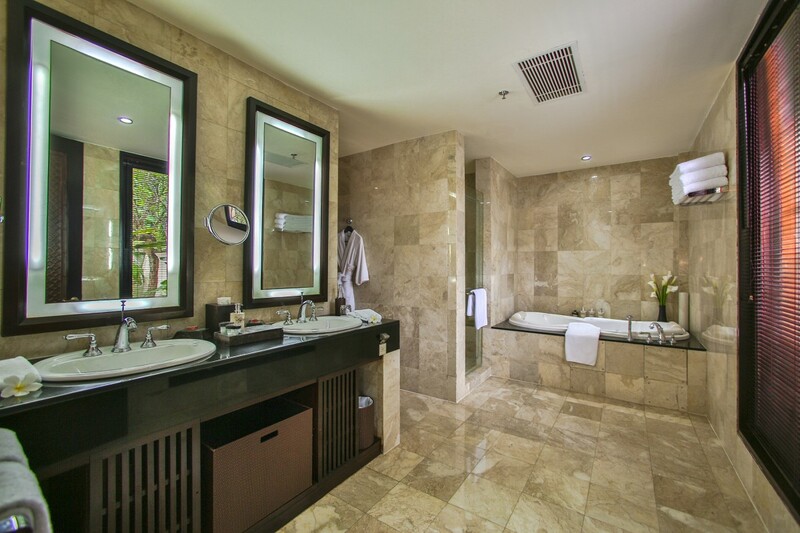 Are there any things to do in and around the hotel? 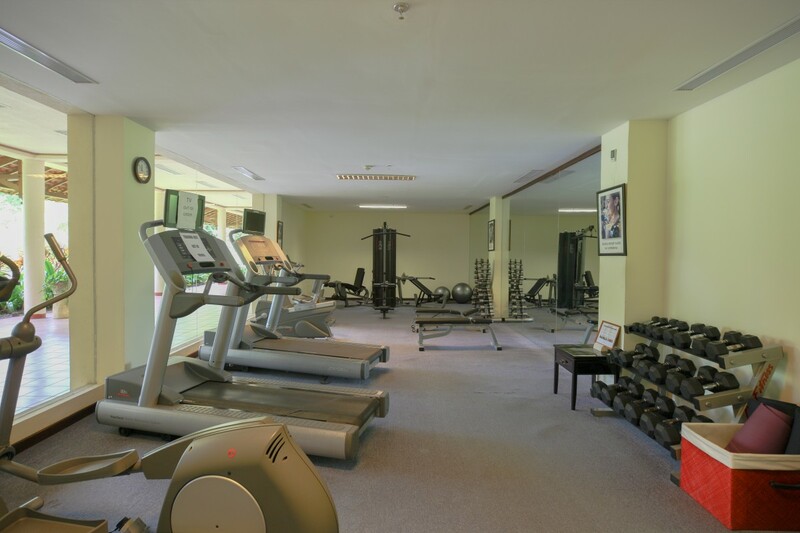 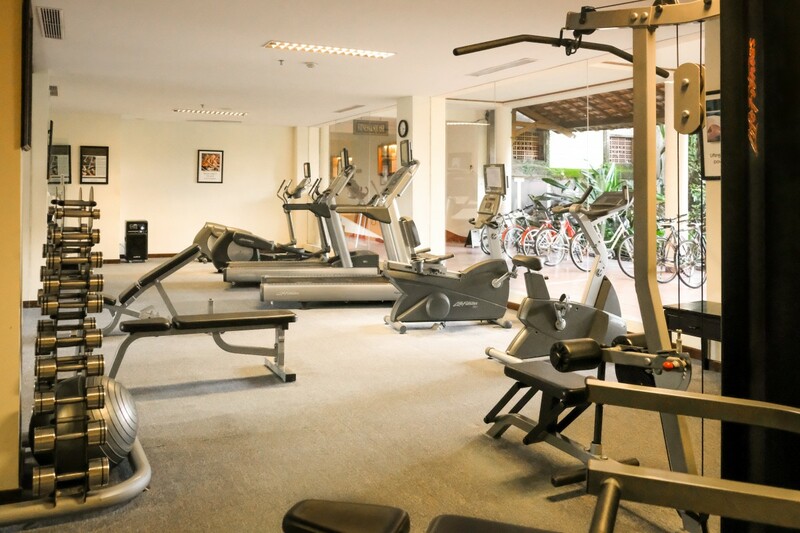 Ayodya Resort offers a number of sports facilities ranging from volleyball to golf. 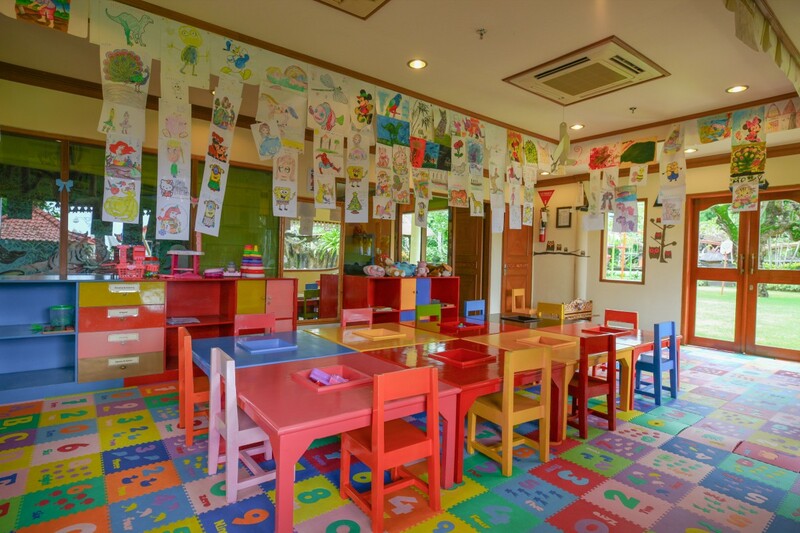 It also provides a playground for children keeping in mind the necessities of parents. 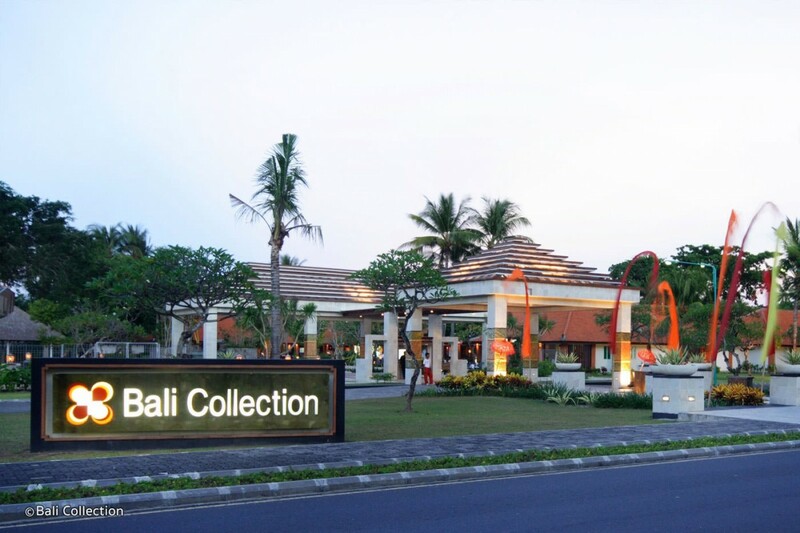 Guests can visit Bali Collection and Bali International Convention Centre through a free shuttle service provided by the hotel. 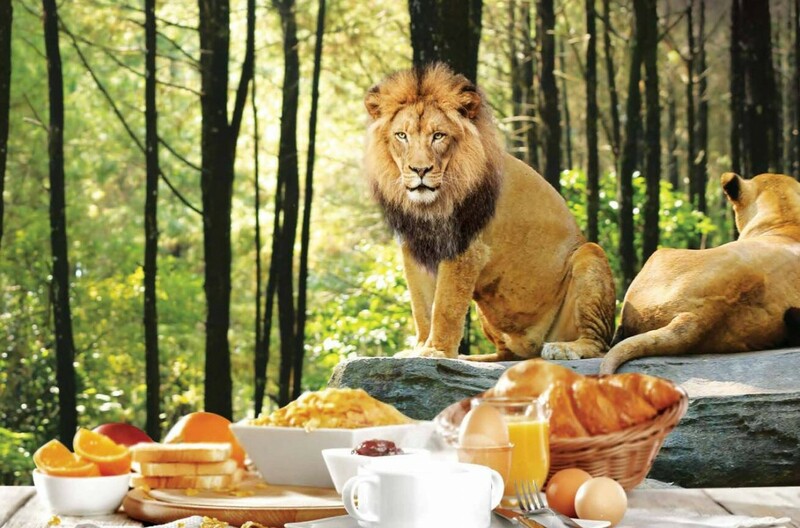 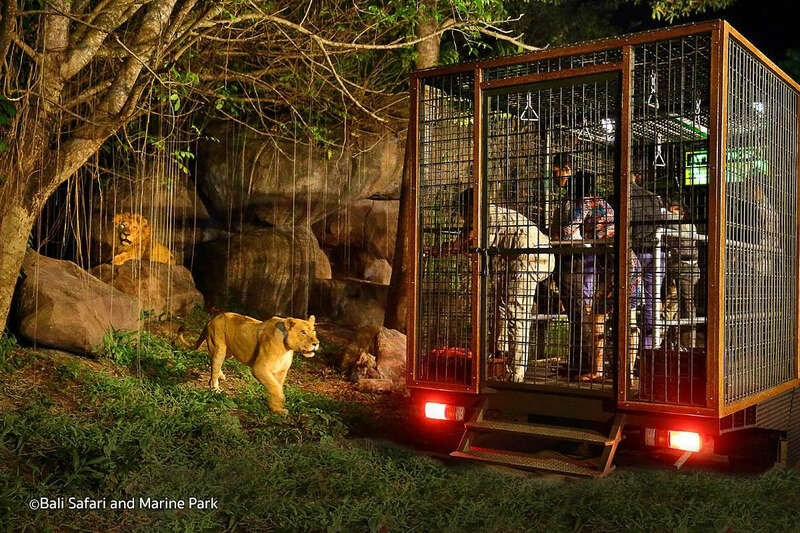 Can guests avail breakfast at the hotel? 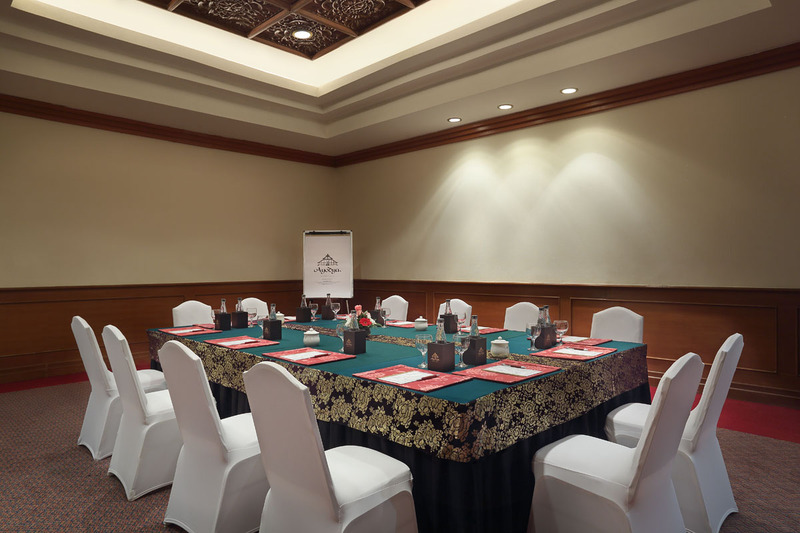 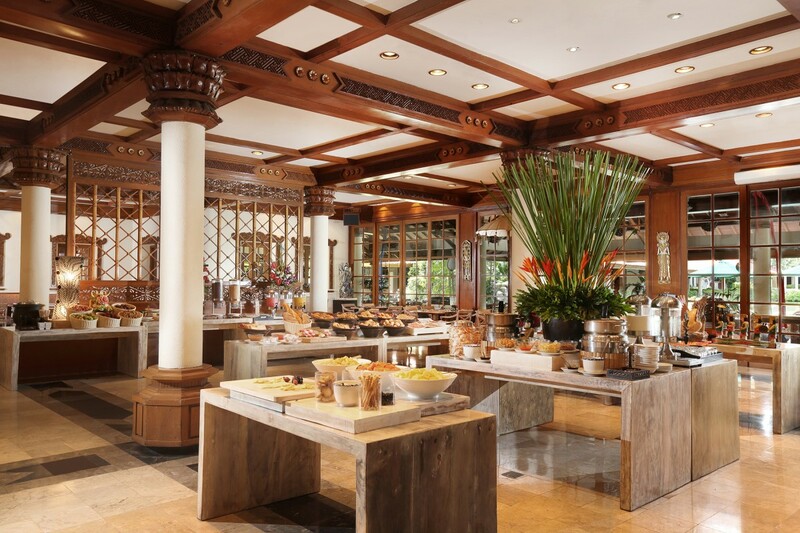 Yes, the hotel provides a daily buffet breakfast to all guests at the restaurants maintained by the hotel. 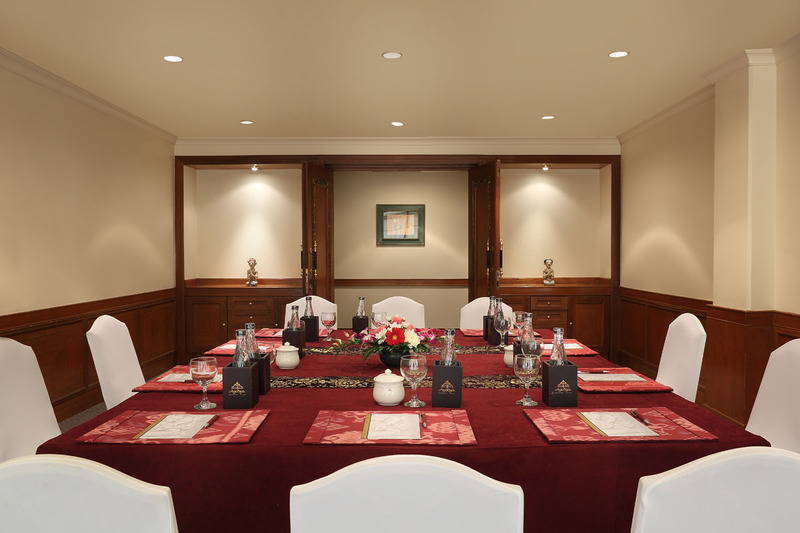 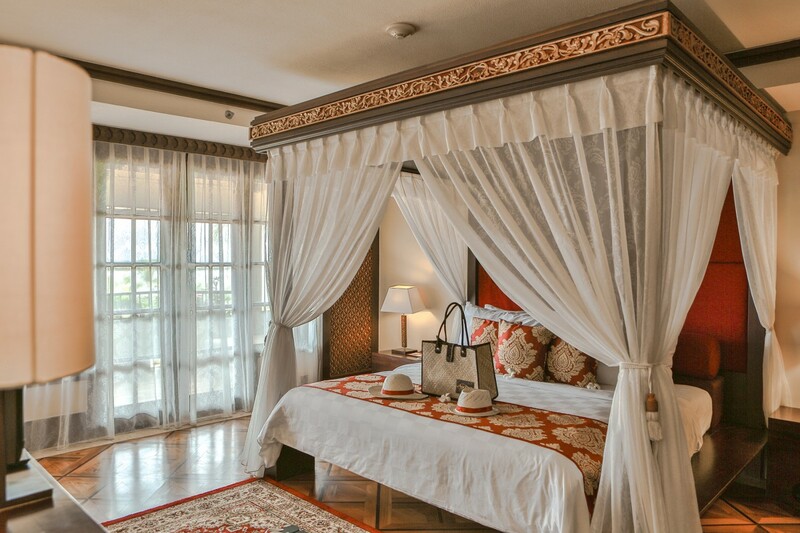 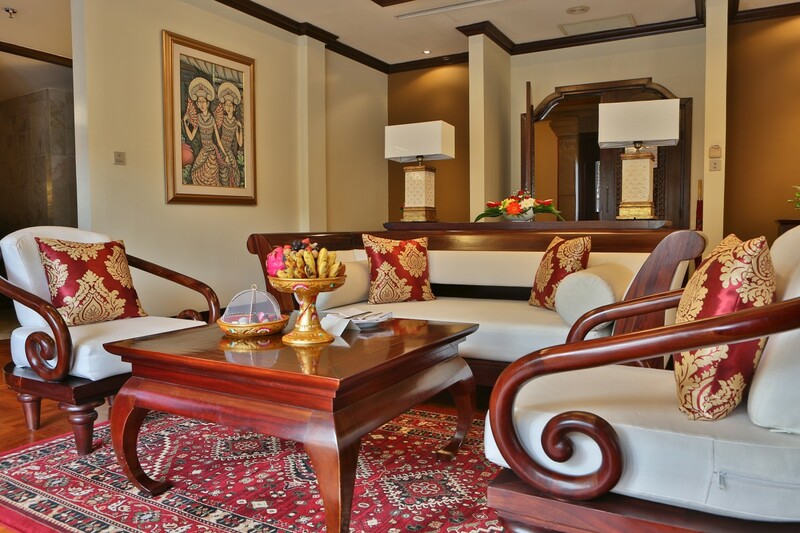 Yes, the hotel offers a la carte served in the Ayodya Palace Lounge with sparkling wine or room in breakfast to the Honeymoon couples if guests choose the offer called sweet romance. 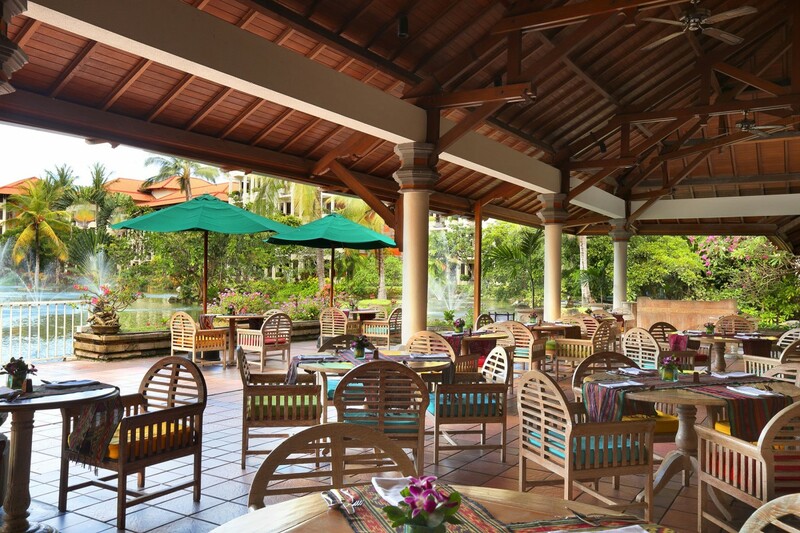 Set amidst a tropical garden, having overlooking crystalline waters, Ayodya Resort takes care of every single need of their guests by providing complete comfort and luxury. 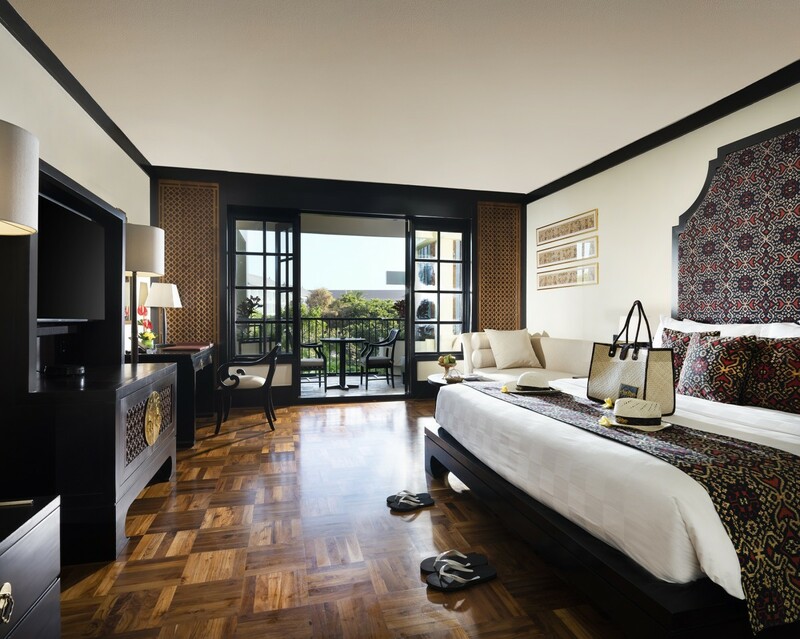 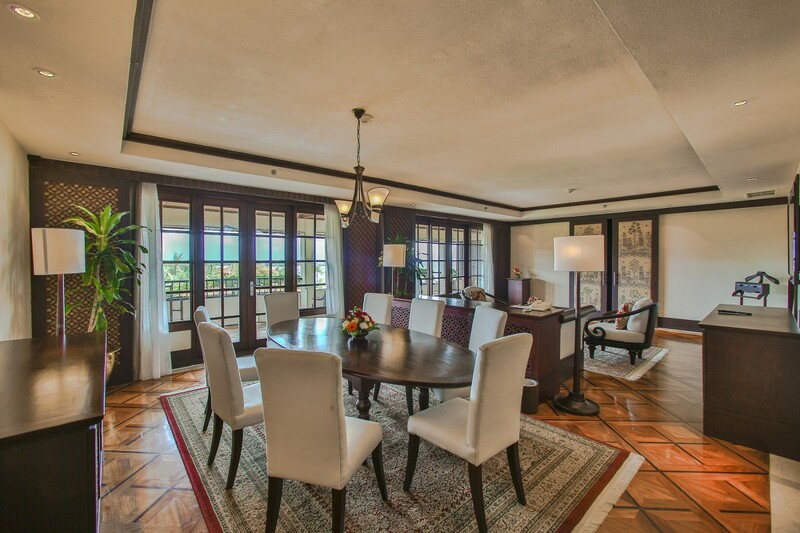 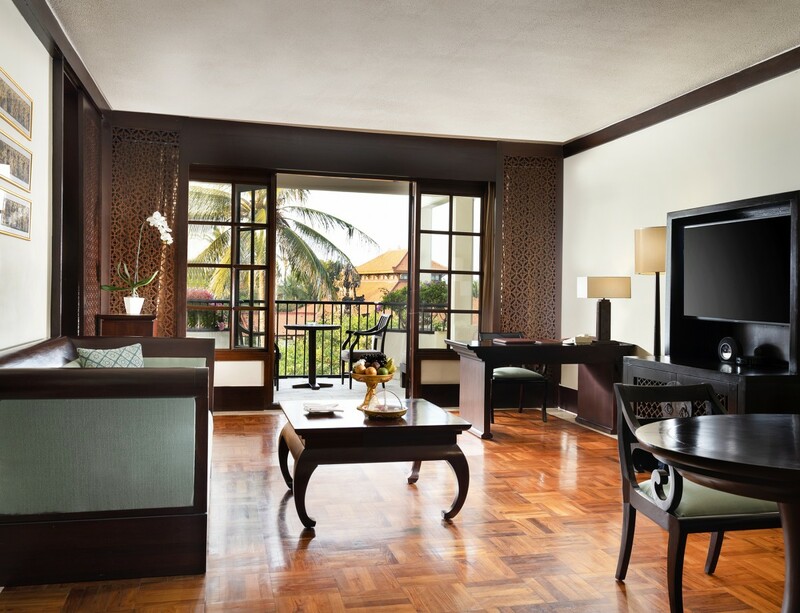 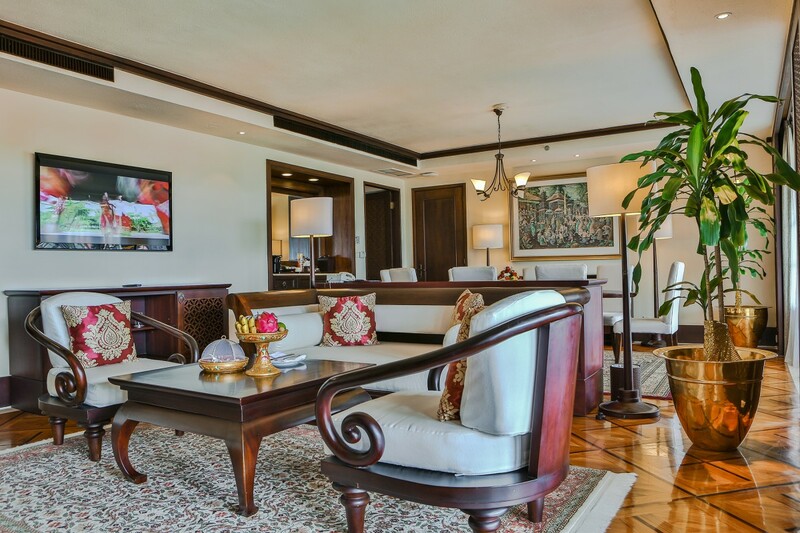 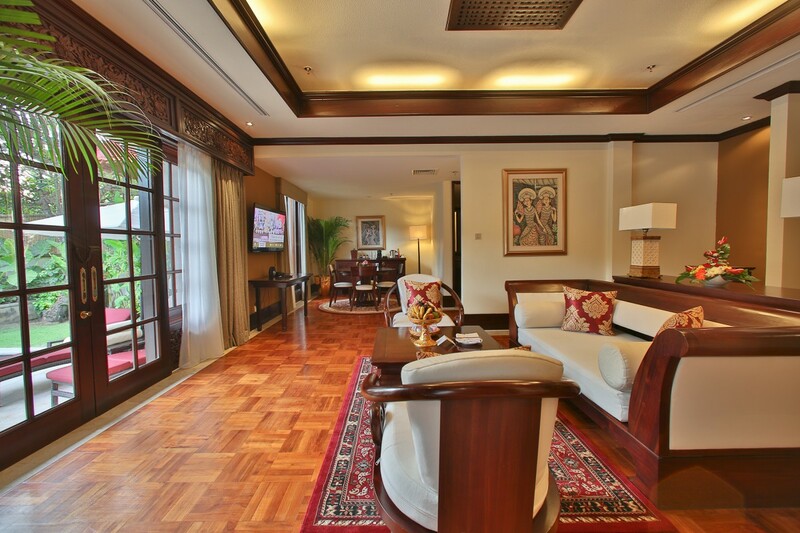 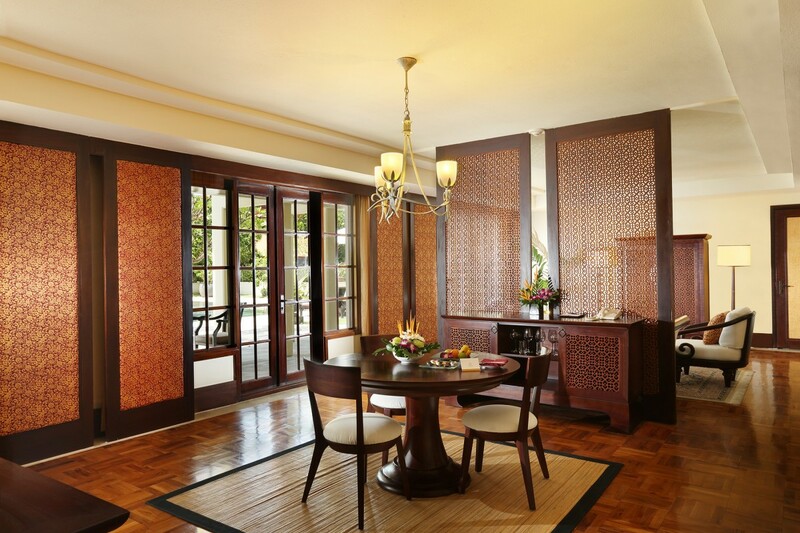 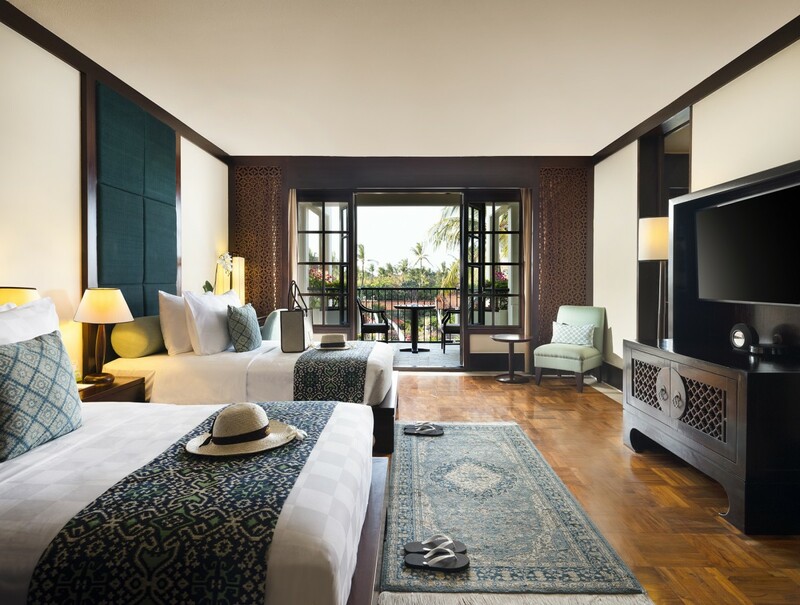 Featuring old and traditional Balinese opulence, the property offers breathtaking views of the ocean. 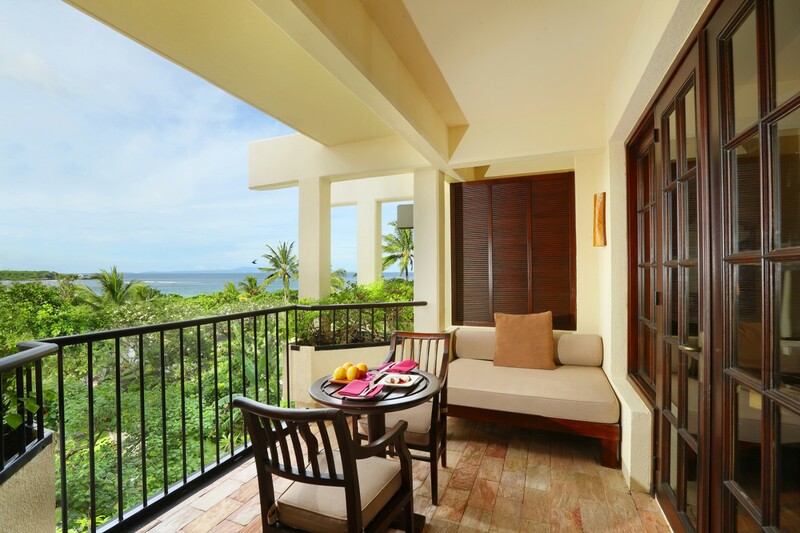 The lush green ambiance of the hotel adds to the beauty of this property that compliments the tropical surroundings in an ideal way. 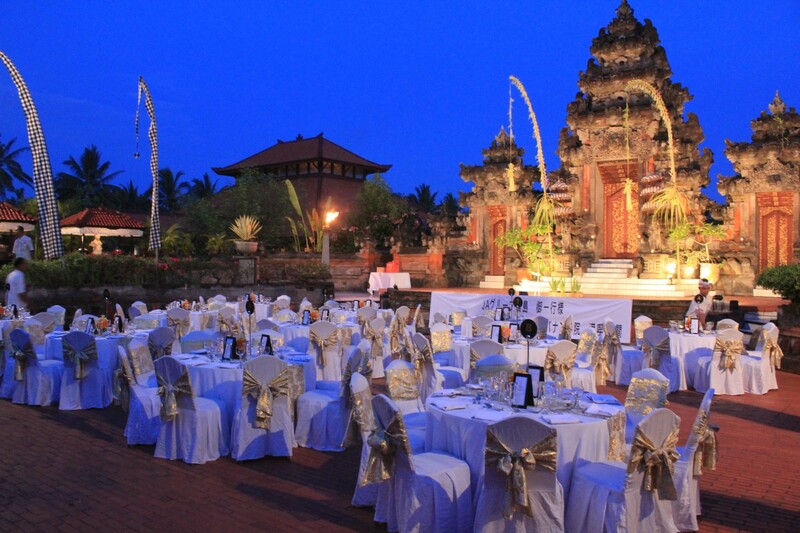 Ayodya Resort Bali reminds its guests of a traditional Balinese water palace. 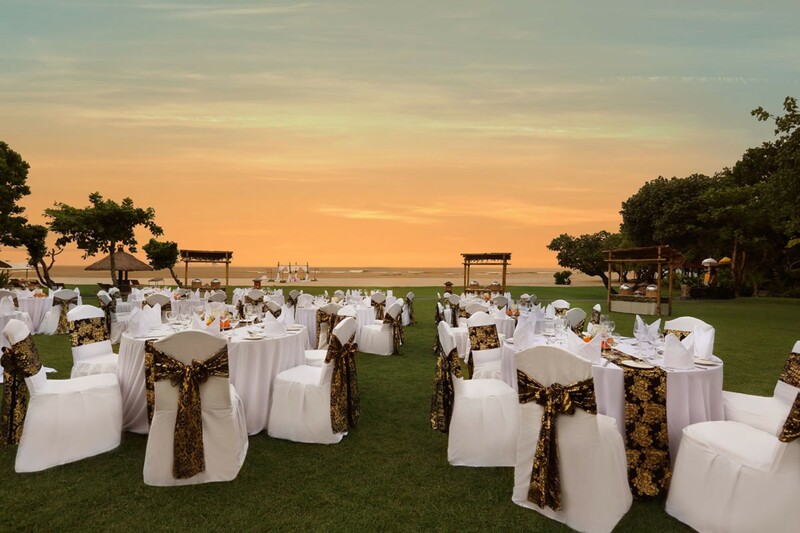 The hotel allows its guests to enjoy a number of activities, including traditional dancing in the open-air theatre, therapeutic massages at the Ayodya Spa and relax at the four pools lined with appealing sun beds. 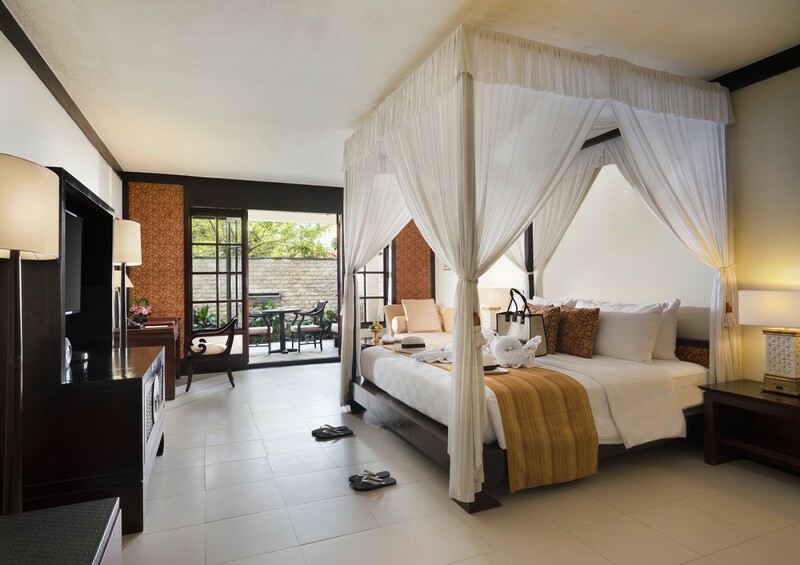 Ayodya Resort provides an amazing stay for and couples looking for a refreshing holiday. 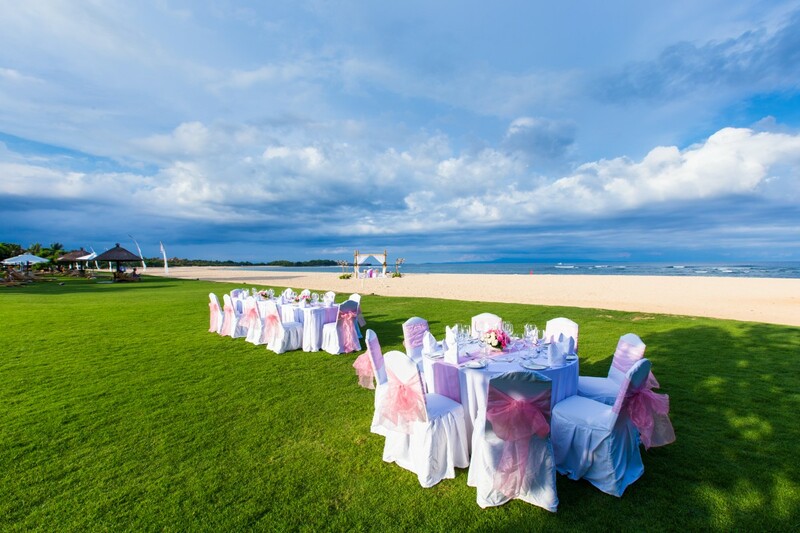 It gives its patrons a chance to get fascinated by involving in various activities like sea kayaking, beach and many more. 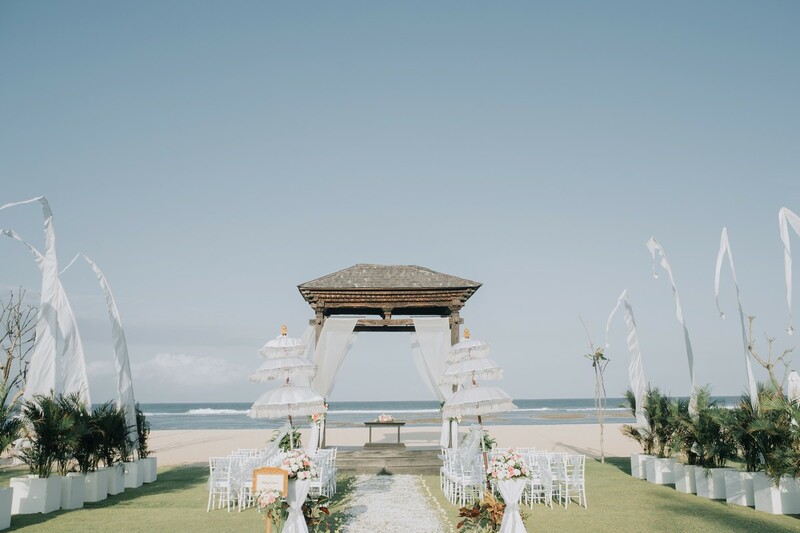 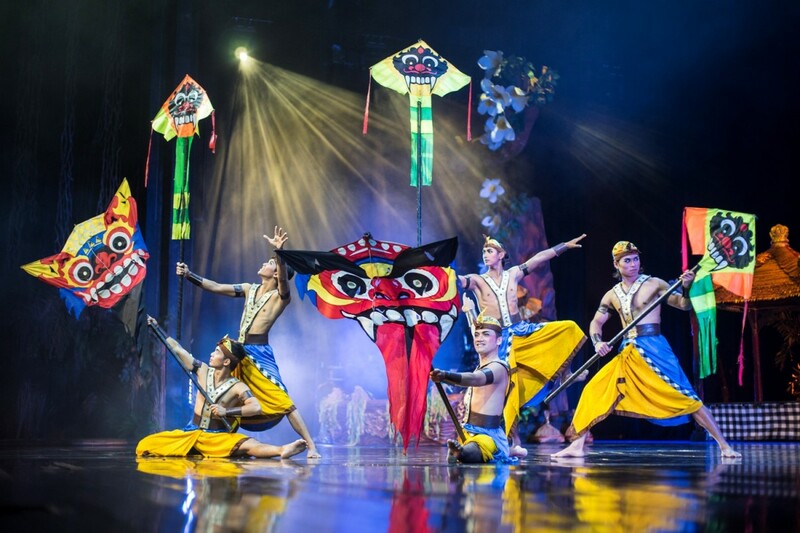 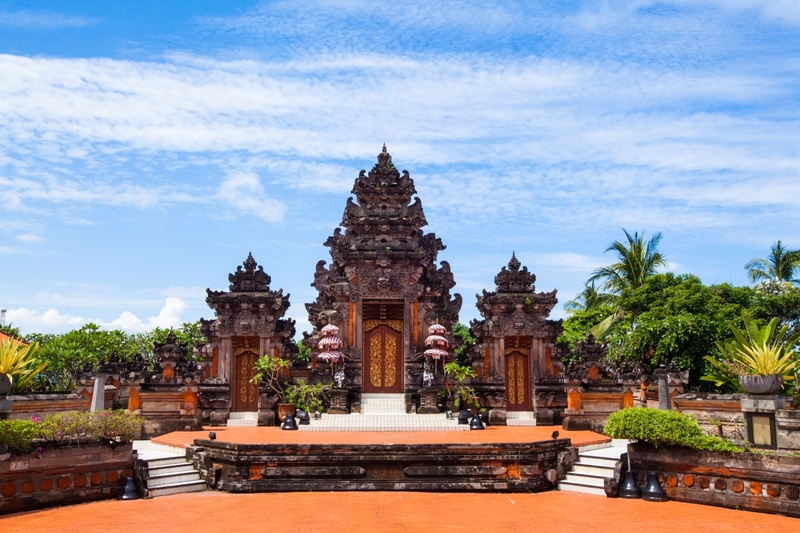 So, experience your holiday in Bali like one have never felt before and get ready to create countless memories in this mesmerizing and warm place.